Shaped postcard BG-33614 came from Plovdiv, the 2nd largest city in Bulgaria and a candidate for European Capital of Culture in 2019. 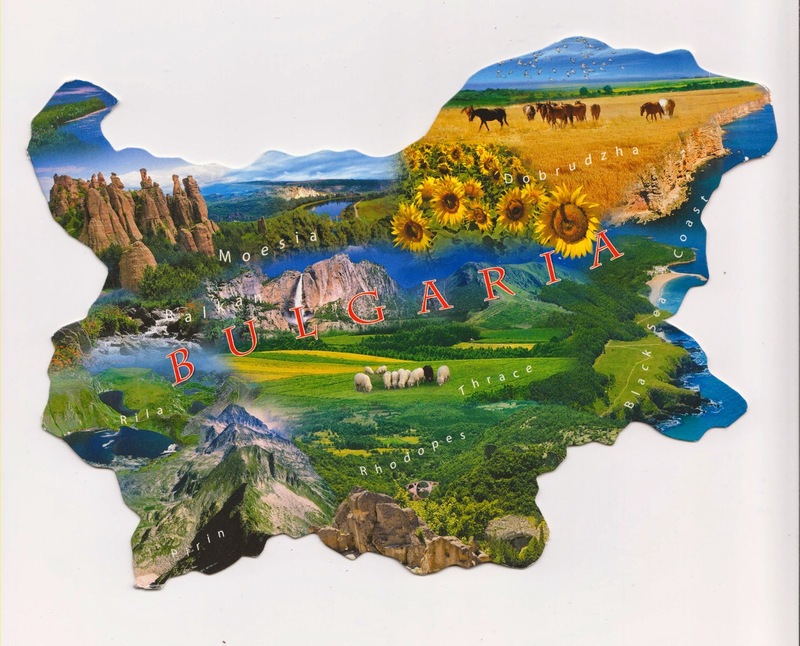 Bulgaria, Europe's 14th largest country, is located in Southeastern Europe. It is bordered by Romania to the north, Serbia and Macedonia to the west, Greece and Turkey to the south, and the Black Sea to the east. On the card, it shows major topographical features such as the Danubian Plain, the Balkan Mountains, the Thracian Plain, and the Rhodope Mountains.